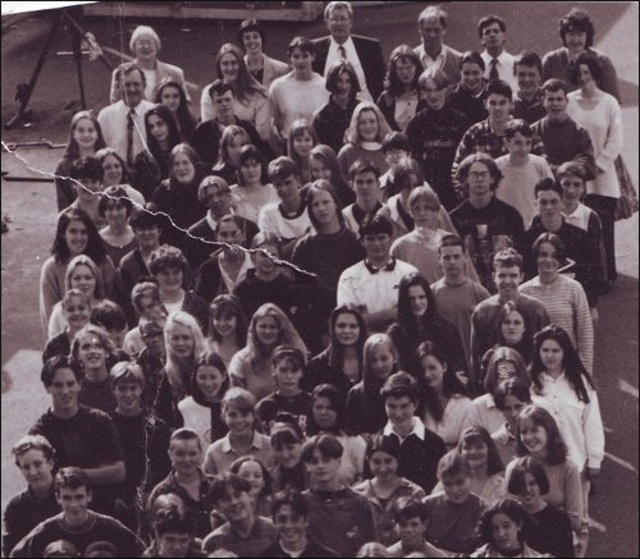 Right at the back, centre, is Mr Bryce. “Cool as a bean” and “Did you come here on a yellow bus son”, were two of his favourite sayings. One of the best teachers in Invergordon Academy. Aye, you are right, Bryce was an ace teacher. A lot of familar faces - I'm even seeing my self in it. All the teachers then were good. Bryce used to call me the joiner because I always used to have my pencil behind my ear.